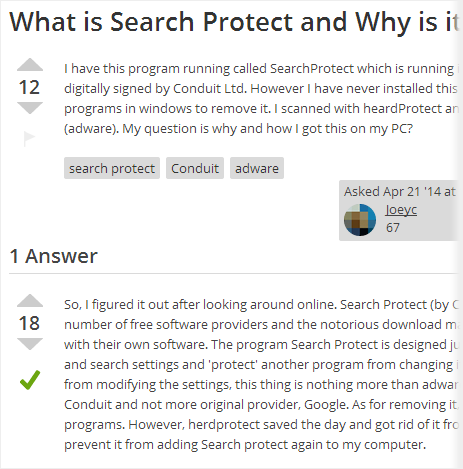 The herdProtect Community is a question and answer group for users focusing on malware. It's built and run by you as part of herdProtect and based on the Stack Exchange style of Q&A. With your help, we're working together to build a library of detailed answers to every question about malware and malware removal. As you earn reputation, you'll unlock new privileges like the ability to vote and comment. 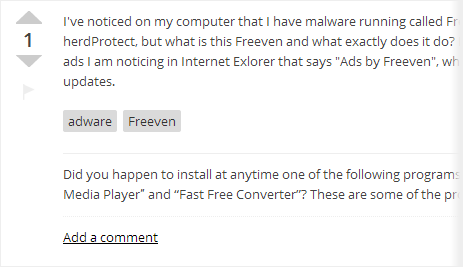 You can always comment on your own questions and answers. Once you earn a 20 reputation, you can comment on anybody's post.